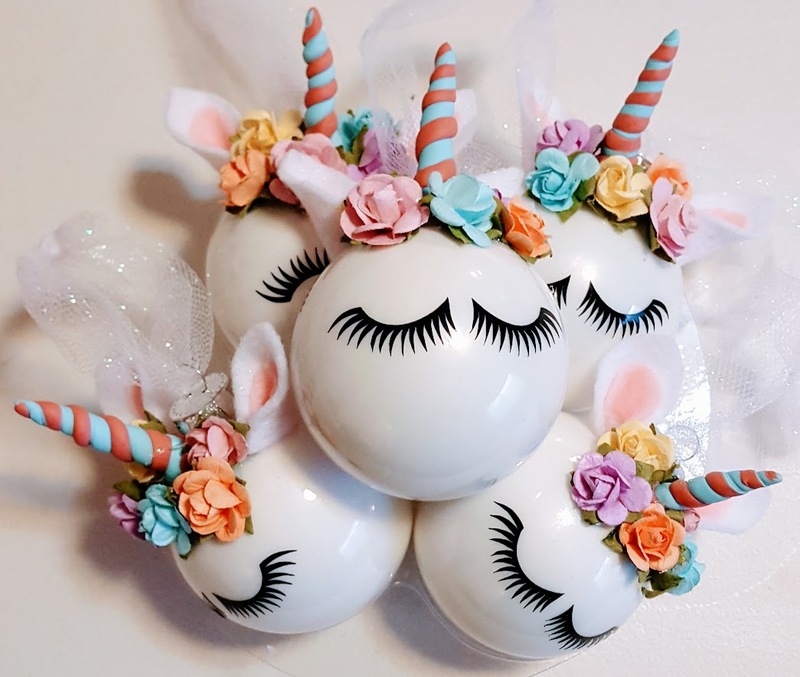 I had no intention on making a bunch of ornaments this year, but one of the Facebook groups I belong to posted some fun ideas and somehow I couldn’t resist the urge to make them. The first of the bunch? Unicorns. I sort of took the easy way out on this one – I used white bulbs (a lot of people glitter the inside of clear bulbs) and purchased paper mini flowers) to create my version. You know what wasn’t easy? Gluing everything down. I am guessing most people used hot glue, but I was afraid that over time it just wouldn’t hold well so I decided to use E6000. While this glue has fantastic long-term hold, everything just wanted to slide right off until it dried enough that it was tacky. Needless to say, it was a bit messy, but the end results are worth it. Aside from the one I kept myself and one that I’m giving to my niece, I have no idea who’s getting the rest of these, but I suppose I have them on hand for some quick gift giving! This entry was posted in Uncategorized on December 11, 2017 by stacy.